Wedding Dreams – Why more and more Indian couples are choosing Thailand for their wedding day? Home / DESTINATIONS / Wedding Dreams – Why more and more Indian couples are choosing Thailand for their wedding day? There’s nothing in the world like an Indian wedding – that’s indisputable. Indians are known to spend more effort and put more money to ensure a wedding that will be remembered forever. They are grand, lavish, pompous, colorful, fun, and entertaining. And nothing compares to it even more when the wedding is held in a destination like Thailand, which adds not only more romance – being a destination wedding – but also pride and prestige to the coupe tying the knot. Why are so many Indian weddings drawn to Thailand these days? Mickey Jain, who organizes Indian weddings in Thailand for a company called Beautiful Weddings, says, “Thailand is and will continue to be a preferred destination for Indian weddings because of its proximity to India, its unparalleled hospitality, and the value for money if offers.” That could be an understatement, but the fact is more and more weddings are being held in Thailand these days. Jain’s company alone organizes 20 to 25 events a year on average, and he’s already booked to organize between 10 and 17 weddings in Thailand from November 2016 to February 2017. Thailand, of course has always been vocal about cornering the Indian wedding market. After all, the Indian wedding industry is now worth more than US$25billion a year and since 2013 has been growing at 20 percent a year. Reports from the Tourism Authority of Thailand (TAT) indicate that the average spending for an Indian wedding in Thailand is THB10 million (about US$340,000), with an average of 200 to 500 guests attending. The average duration of each wedding is three to five nights, with approximately 600 rooms booked. Of particular attraction to parents, from some countries in particular, might also be the fact that, in Thailand, it is often possible to do something really grand for rather less than something really less grand, elsewhere. 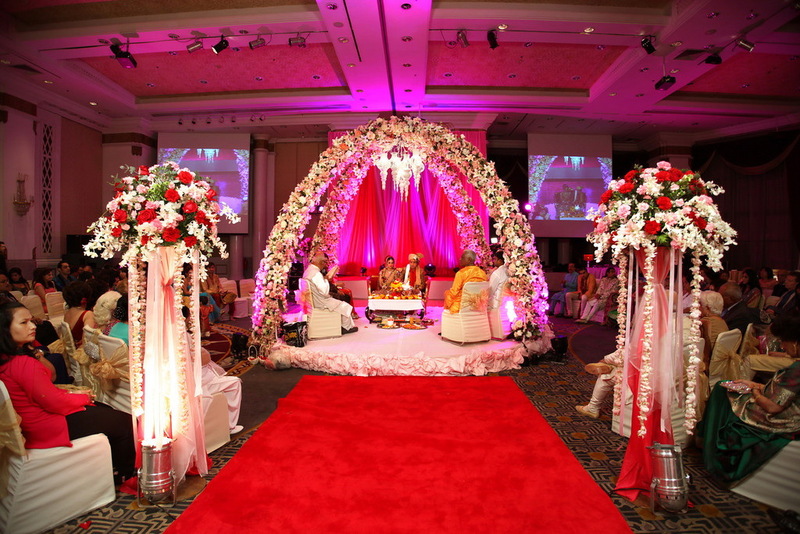 Average budget for a middle class Indian wedding ceremony has been estimated to be US$34,000, while it is estimated that the upper-middle and rich classes spend upward of US$1 million. This doesn’t include cash and valuables given as part of a dowry. While the value of the Thai baht is similar to the Indian rupee, prices of hotels in Thailand are 30-60 percent cheaper overall when comparing similar categories, according to Indian wedding experts, and the quality of hotels is among the best in the world. Hotels and resorts all over the country offer a variety of adaptable wedding packages, to suit all faiths, traditions, tastes and budget. That is why an increasing number of couples from India and other countries are choosing to get married at a hotel or resort in Thailand. Flights to Bangkok are only slightly more expensive than domestic flights in India and in some cases, just the same price. For example, Thailand is only a four-hour flight from Delhi and Mumbai. With more affordable travel, couples can invite more members of the family and friends to their to wedding and make the occasion an opportunity to enjoy not only the wedding but also a holiday in the sun. Food and beverage are also 30-60 percent cheaper in general, and, “these means you get a ‘bigger bang’ for your bucks in Thailand, says one Indian writer. Every hotel, and especially the destination resorts, leave no stone unturned –to use a cliché – to ensure weddings held at their venue are unforgettable. In fact, ceremonies can be custom-designed around your religion and desires, and catered to small and large groups. Usually, couples intending to marry bring their respective parents and friends as witnesses. Many Indian wedding groups have been coming to Thailand and these weddings are some of the most sought-after by the big resorts and hotels because of their large groups and high-spending power. Also, they are not a one-day affair. They can be very extravagant too. 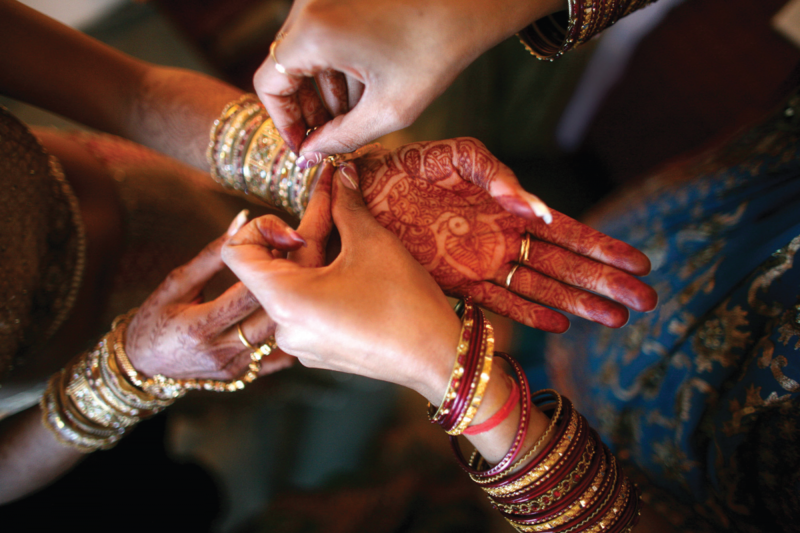 An Indian wedding can last up to several days or weeks. It features a number of functions and locations with the “Mehndi (ring ceremony),” “Sangeet (pre-wedding event, usually a day before),” actual wedding (formal ceremonies, etc. ), and reception (post wedding celebration). These are held on separate days, although sometimes people will combine wedding and reception on same day. Attendees to Indian weddings in Thailand range between 50 and 1,000 people. Indeed, Indians constitute the biggest market for weddings in Thailand at the moment, followed by Japanese, Koreans, and Europeans. While most big fat Indian weddings choose five-star Bangkok hotels such as Anantara Siam, Royal Orchid Sheraton, Millennium Hilton, Centara Grand Bangkok and Centara Grand Ladprao, or the Grand Hyatt Erawan, others opt for hotels in Chiang Mai, where you can have a similarly lavish wedding at the Dhara Dhevi Chiang Mai, Shangri-la Chiang Mai, and Le Meriden Chiang Mai. The northern hub of Chiang Mai, by the way, is also a favorite wedding destination of those who prefer the Lanna style ceremonies, mountains and elephants for their wedding. For many people, getting married so close to the ocean is a dream come true. Thus many Indian weddings have been held in Hua Hin, Pattaya, Samui, Phuket, Krabi and other beach destinations. In Hua Hin, popular Indian wedding options include the Dusit Thani Hua HIn, Putarachsa Hua Hin, Radisson Hua Hin. In Phuket, the Centara Grand Phuket, The Racha Phuket, and Deva Phuket are among the most popular wedding destinations for Indian couples these days, and in Krabi, the Holiday Inn Krabi is emerging to be a preferred choice for Indian wedding planners. 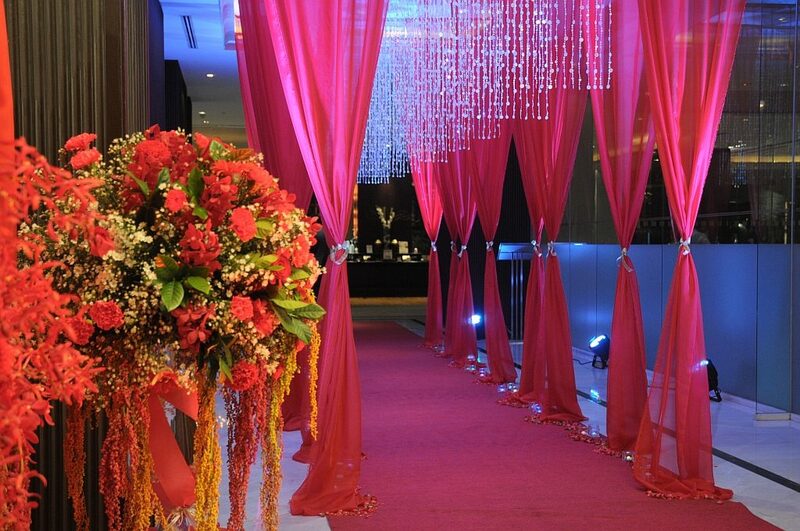 Most hotels and resorts have their own departments to deal with weddings from beginning. In Bangkok alone, many hotels boast great wedding venues for couples to choose, although many couples prefer chains and brand names with at least 150 rooms, in the four- or five-star category. How lucrative is the wedding segment? Enough for hotels like the Plaza Athenee Bangkok to include a Wedding Gallery in its facilities’ expansion besides the now common wedding fairs and wedding showrooms. Even Novotel Bangkok on Siam Square, which holds more local- than foreign-booked wedding functions, has a dedicated team devoted to this (Twenty-five percent of the hotel’s function revenues come from wedding functions, the hotel’s director of catering and banqueting told us one time). Also most hotels and resorts around the kingdom offer huge exclusive discounts on room bookings to wedding groups. In Phuket, these include JW Marriott, Dusit Laguna, Banyan Tree, and Le Meridien (Khao Lak). In Hua Hin, you can also check out Sheraton Hua Hin and Hilton Hua Hin. In Koh Samui, there is the Four Seasons Koh Samui, Centara Beach Resort Samui, and Six Senses Samui, among many with the capability to handle fabulous tropical weddings. You can also find budget wedding ceremonies that are not the least memorable. But it is always advisable to look up wedding organizers or travel service providers that are truly dependable. Indeed, what sets a wedding in Thailand apart is more than just the setting and facilities that hotels and resorts can provide. Whether you choose to get married in the mountains of Chiang Mai in the north or with the Andaman Sea in the background in the south – a grand exotic dream wedding can be yours in Thailand. Besides the advantages of well-developed facilities and services available in Thailand for organizing weddings, the parties and other ad hoc activities as well as the presence of wedding professionals who help make the wedding a success. Weddings can be very stressful, but all those troublesome worries associated with wedding arrangements can simply be made to fade away in Thailand. Everything is provided and everybody can be accommodated, well before the event, “under one roof” so to speak. No need to worry about caterers, or the flowers, or indeed the weather as well as the many other things, which elsewhere have all got to be brought together and which can turn the run up to a wedding into an exercise in stress control. Decorators and florists – some of the best in the business – are easy to find in Thailand, and can help create a perfect atmosphere for the big day. Bridal fashion? 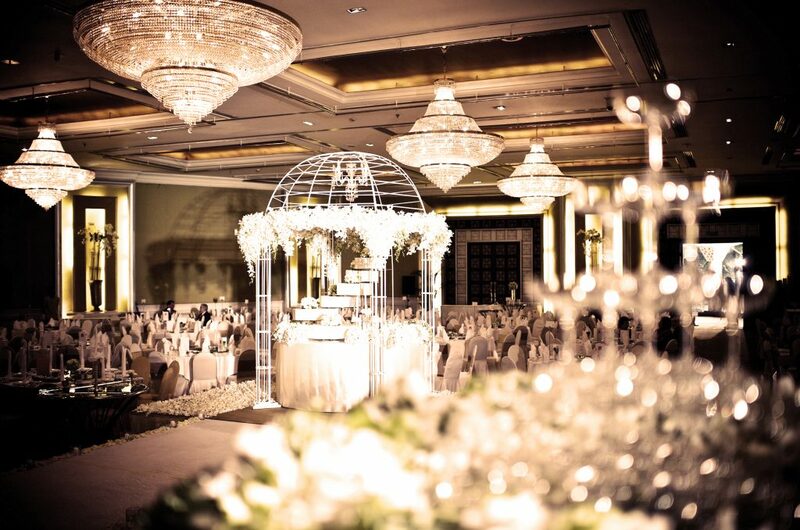 Bangkok alone has more than enough shops to give you that necessary glamour and glitter for your very special day. For jewelry and accessories, companies such as Gem Gallery (www.gems-gallery/com/), and Maker Mends (Thailand) (sales@makermends.com) – just two of the Thai specialists for engagement and wedding rings — ensure that the bride and groom do not have to worry about finding the right item to suit their wedding theme. But even shopping malls like the OP Place and OP Gardens have dedicated shops that can easily fulfill requirements for bridal fashion, jewelry, and accessories. Caterers like Indus Catering Services (www.indusbangkok.com) make sure the variety of food and beverage options for the various functions associated with an Indian wedding are well arranged. 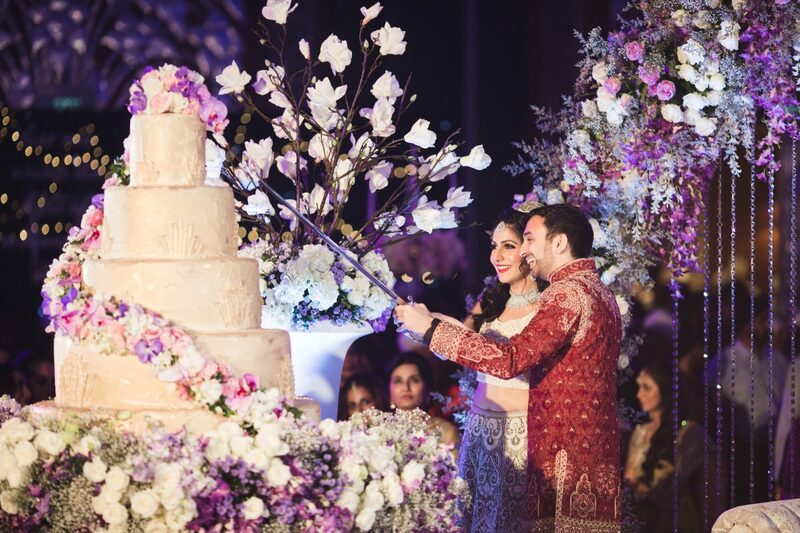 Lekha Shankar interviews Mickey Jain of Beautiful Wedding to give us more insights on why Indians favor Thailand for their weddings. Q: How many years have you been doing Indian weddings in Thailand, and why did you select Thailand? 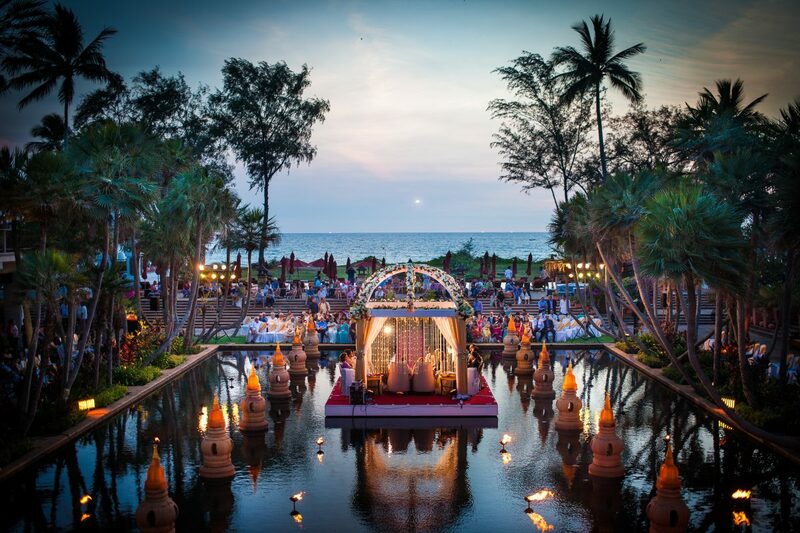 Q: Which are the destinations in Thailand that the Indian wedding-market likes, and why? Q: Which hotels? Do they have Indian kitchens? A: Beautiful Wedding works with most 4-5 star properties provided they have a minimum of 200 rooms, 2-3 different venues to host events and kitchen space for cooks. 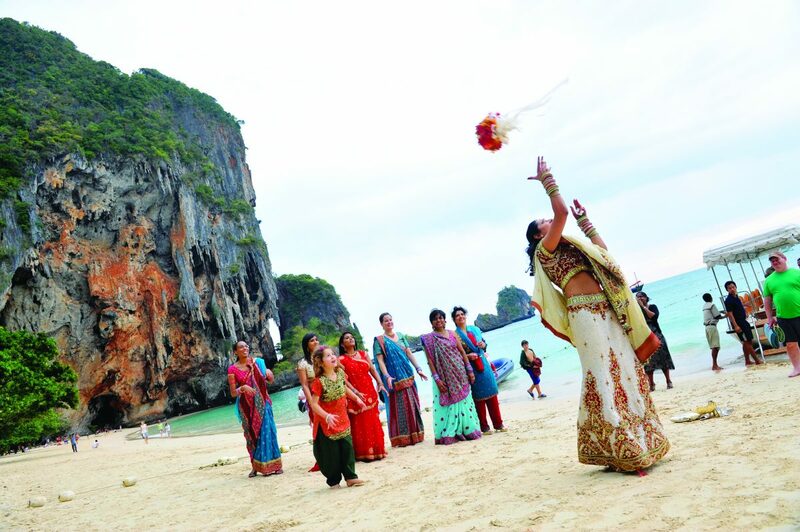 Q: How do you undertake an Indian wedding in Thailand- food, ceremonies, decorations, etc.? Do you bring staff from India or do manage with a Thai team? A: Beautiful Wedding has a dedicated team of eight members from India. We work with local vendors and local Thai staff to organize food, decorations, light and sound. 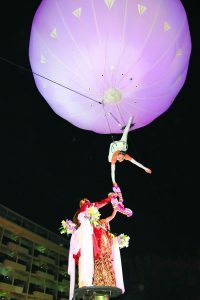 Certain entertainment, like Bollywood artists however are flown from India. Q: On average how many Indian weddings do you do in a year, what is the budget, how big are the groups? A: On average Beautiful Wedding is organizing 20-25 events. These days there is a trend for clients to celebrate anniversaries and birthdays too. Q: Why did you choose Bangkok for your son’s wedding? How many people came for it? How did you solve the crisis of the bomb-blast scare at that time? A: I started my destination wedding planning career from Thailand, and it is like my home. I wanted to celebrate the special occasion of my son’s wedding also at my “home.” Approximately 400 guests flew in from all over the world. The bomb blast occurred only two days before the wedding day. All guests had already arrived and we had around 200 vendors working that day. By the grace of God and Erawan shrine no one was hurt. The management team at Hyatt Erawan was very supportive and we are thankful to them. The Thai police was also very helpful. Q: What weddings have you got lined up for the future? Q: What support do you get from TAT, the Thai government? A: The TAT and the Thai government have always been helpful to us. Q: Any suggestions on how Thailand can improve? A: Certain immigration changes like easy customs, group visa issues, and temporary work permits for vendors. 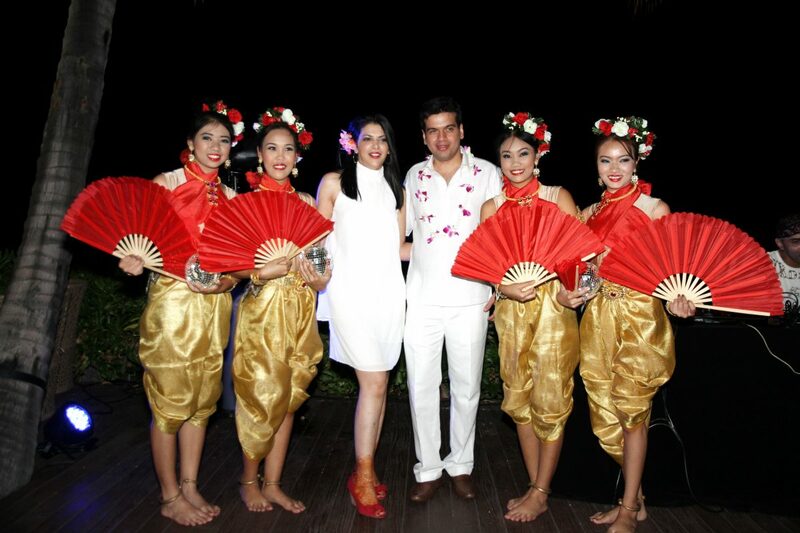 The Tourism Authority of Thailand (TAT) is projecting a significant growth in international weddings and honeymoons being celebrated in Thailand after hosting its first “Destination Wedding Planners Congress (DWPC)” at the Laguna Golf Phuket between May 2 and 4, 2017.